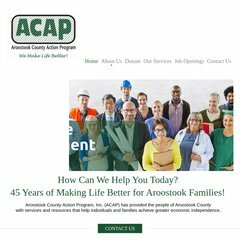 Topics: Acap Annual Report, Read, New Community Assessment, and Maps & Directions. Age: The domain is 19 years and 10 months old. The estimated 12 daily visitors, each view 1.50 pages on average. The programming language environment is ASP.NET. It has 2 DNS records, www.oakleafsystems.com, and ns1.datahostingsolutions.com. It is hosted by Neucom Inc (Florida, Tampa,) using Microsoft-IIS/6 web server. PING www. (66.230.205.31) 56(84) bytes of data. Website load time is 274 milliseconds, slower than 94% of other measured websites. As well, a ping to the server is timed at 81.6 ms.